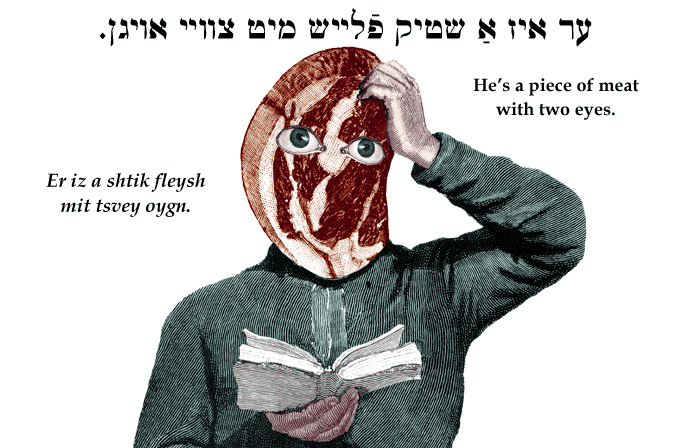 Yiddish Insult: He's a piece of meat with two eyes. ער איז אַ שטיק פֿלייש מיט צוויי אויגן. Er iz a shtik fleysh mit tsvey oygn. He's a piece of meat with two eyes. He's stupid. SOURCE: Stutchkoff, Der Oytser fun der Yidisher Shprakh.